This is such a big topic that it's hard to know where to start! First of all. 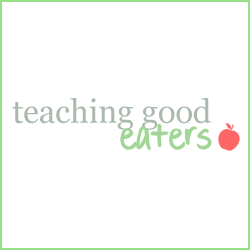 I want to point out, that teaching good eaters is a lifelong process. My kids are good eaters, but we still face food challenges on a daily basis. 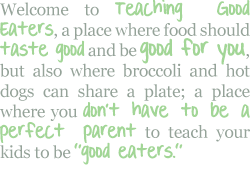 Learning to be a good eater is not like learning to ride a bike. It's not a hurdle to overcome that, once learned, is learned for life. Rather, it is more like learning to read. It can be a long, slow, process and there is always more to learn and more to do, to maintain and grow the skill. Having taught children to read, I know that it can sometimes take a long time to see results. As a classroom teacher, there were times when I wondered if I taught anyone anything at all. It was hard to see changes in the everyday. Instead, I had to look at the year as a whole, in order to see the growth. If you have a very picky eater on your hands, don't expect to see immediate, drastic changes. Take it one step at a time, and celebrate any small victory! 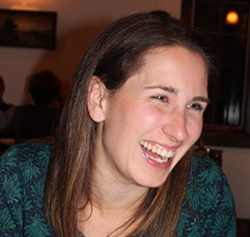 My first year as a teacher, I had gotten myself into power struggles with several of my students. I had to realize that if I engaged in a power struggle, I had already lost. If I said, "sit down," and the student said, "no," there was really no way that I could "make" him sit down. I read two amazing books that year which really helped me to recognize this and to approach things in a different way. The first was "You Can't Make Me," by Cynthia Ulrich Tobias, and the second was, "How to Talk so Kids Can Learn," by Adele Faber. Before you can start to change your child's eating habits, you may need to change how eating and meals are approached in your house. If mealtimes have become a power struggle between you and your child, this is the first thing that needs to be addressed. The post: Where to Start with Picky Eaters will help you to start breaking down the power struggles and will set the stage for all other, "work," you will be doing to help your child become more adventurous. What would you like for me to scaffold next? Tell me your child's favorite food in the comments and I'll use it for a future scaffolding post! Completely Change the Tone of Dinner Time with a Scavenger Hunt Meal!! When You Make Food Fun it Tastes "Gooder"
I will be adding to this page as time goes on, so be sure to bookmark this page and stop back often! I want to be able to help, so if you have any questions, feel free to post them in the comments or send me an e-mail at: info (at) teachinggoodeaters.com. Serve Vegetables that Taste Good! 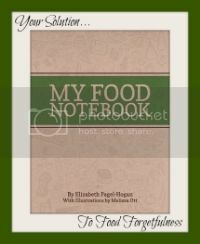 Try Using "My Food Journal" to Help "Food Forgetfulness"
WOW, I just found your site and its helping me so much! Our son is 4 and very selective eater. I think we have a long ways to go. I love this post. I am starting to think part of the issue is definitely the environment. He has a preference for a certain type of frozen waffle and one time he ate a sample of a different waffle at Costco, yet he won't let us buy them for him and serve them at home. Ugh. I also want to change how we interact with him and food so as to take off any pressure. I think he tries to control his mealtimes as well as having big texture issues and a general fear of trying new things. A big list! I am always trying to think of ways to help him. He does not eat a big variety of foods at all and hardly anything with mixed textures (no sandwiches, "quesadillas", roll ups, etc) and also not many mushy type textures. Most things are crunchy, although he does like a lot of fruits that have different textures. ??? I feel like we have a long ways to go of making small changes before we actually see any results from him. I am going to try scaffolding or food chaining some of his foods. Any more advice would be so helpful too! Thanks!! Fantastic tips and a whole lot of info here to digest. Will share it with my FB community. Absolutely Lori! I'm so glad that I had the opportunity to learn this (the hard way) before I became a parent.